2. 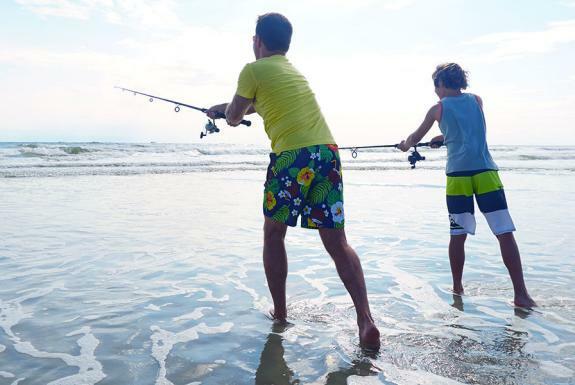 Fish the Flats – Fishing in the Daytona Beach area offers unique options to enjoy the sport. Offshore, coastal and inland fishing affords the opportunity to cast your rod in a variety of settings. 3. Meander in a Museum – Explore the Smithsonian-affiliated Museum of Arts & Sciences’ impressive collections, its children’s museum, 90-acre nature preserve and state-of-the-art planetarium. The Cici and Hyatt Brown Museum of Art exhibits the largest collection of Florida art. Relive history at Jackie Robinson Ballpark where African-American baseball player Jackie Robinson played in the first integrated Major League Baseball spring training game in 1946. Home to the Daytona Tortugas, a Cincinnati Reds Class A Affiliate baseball team, the historic ballpark features a statue of Robinson, historical markers, a museum and offers group tours. 4. Climb Ponce Inlet Lighthouse – Enjoy spectacular, 360-degree views of the Atlantic Ocean, the Intracoastal Waterway and more from the tallest lighthouse in Florida! This majestic facility features a wealth of historical and nautical treasures. 5. Hit the Surf – Swim, stroll or strike a yoga pose, a day on Daytona Beach is as beautiful as it is relaxing. Outfit yourself with a kayak, surf or paddle board and ride the waves. Hard-packed sand also makes it ideal for bicycling and driving.